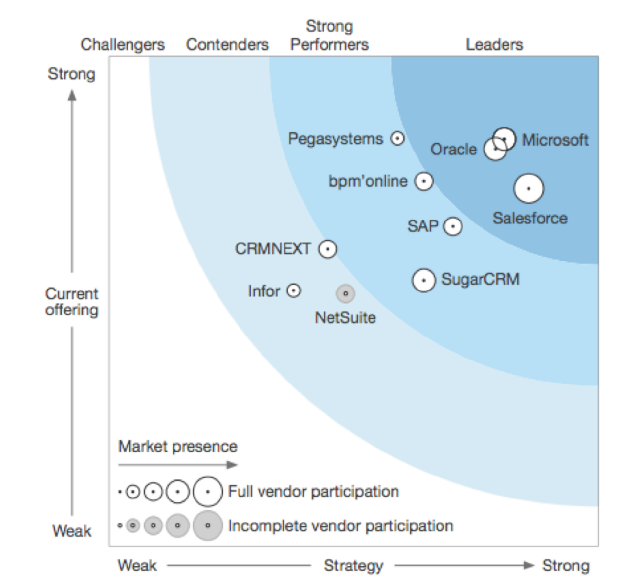 What Sets Microsoft Dynamics Apart From Salesforce? When researching the best CRM, two platforms ultimately emerge as the leaders in the field; Salesforce and Microsoft Dynamics 365. The two remarkably powerful platforms both deliver a wealth of functionality and an always evolving development roadmap, future proofing your CRM investment. So when defining the needs of your business and choosing the correct CRM provider, how do you differentiate the two? To help you distinguish what sets Microsoft Dynamics apart from Salesforce, and which platform will offer your business the best return on investment, we’ve highlighted a few key contributing factors for your decision making. Salesforce allows one method of deployment, and that’s an on-demand, multi-tenant hosting solution. In being stuck with the SaaS model of deployment, you may be committing your company to higher total cost of ownership in the long term. In addition, you don’t have the complete control and security afforded with having your IT environment completely in-house. This can be a real deal breaker for government and other organizations with sensitive data that they can’t risk sending over the Internet. Cost is always going to be a concern for any business when considering which platform to invest in, and while it can be hard to compare pricing models from each platform like for like, Microsoft Dynamics more often than not emerge as the less expensive option, with complete transparency regarding fees, and no hidden costs or nasty price surprises at the point of renewal. While Salesforce is recognised as having one of the most comprehensive app directories via AppExchange, the lesser known Microsoft AppSource actually has a robust and formidable library so don’t be drawn into thinking the that Microsoft Dynamics would limit your integration options. When assessing which is the right CRM investment, how the platform will complement your multi-channel / marketing-platform is a core consideration. Microsoft has a series of partnerships with the industry’s leading marketing vendors such as Dotmailer and Click Dimensions, and most notably with Adobe Marketing Cloud (with some going as far as predicting an acquisition may be on the horizon). Additionally, a whole series of marketing platforms can be easily integrated through middleware providers. Beyond apps and partnership, Microsoft has also made strides in upgrading its marketing offering with the recent release of Dynamics 365 for Marketing. 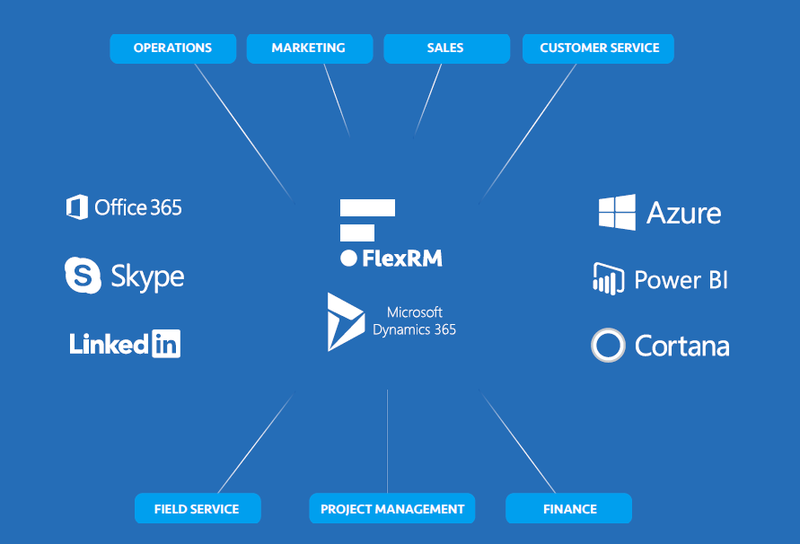 Considering 1.2+ billion users around the world choose Microsoft Office as their primary productivity tool, it goes without saying that seamless integration of your CRM with Microsoft Ecosystem would be paramount. Improve collaboration and synchronisation with Skype, Azure, Power BI, Excel, Outlook, Cortana, LinkedIn and more. One of the key inclusions in the ecosystem is LinkedIn, which gives Microsoft access to the world’s largest B2B social media network / database. With the evolution of sales and the growing importance of social selling, the native integration of LinkedIn is incredibly powerful; and who knows what else will come of the marriage between Microsoft and LinkedIn. If you still need help distinguishing which platform is the right solution for your business needs, get in touch for some more personalised advice.